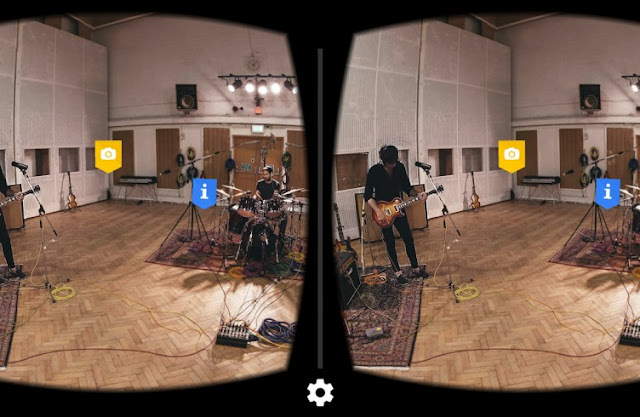 The Beatles Through The Years: Inside Abbey Road for Google Cardboard. Inside Abbey Road for Google Cardboard. Abbey Road Studios were put firmly on the map by the Beatles in the 1960s, they recorded most of their output there from 1962 to 1969 and ever since, artists have flocked to record there, hoping some of the magic will rub off on their records and many times, it does. Google has a new virtual reality viewer headset and it's called 'Cardboard'. With this around your smartphone, you can enjoy the feeling of being virtually inside Abbey Road with the Inside Abbey Road app on Google Play. Kick off the journey with a nine part guided tour by Producer Giles Martin, the son of the Beatles producer George Martin. 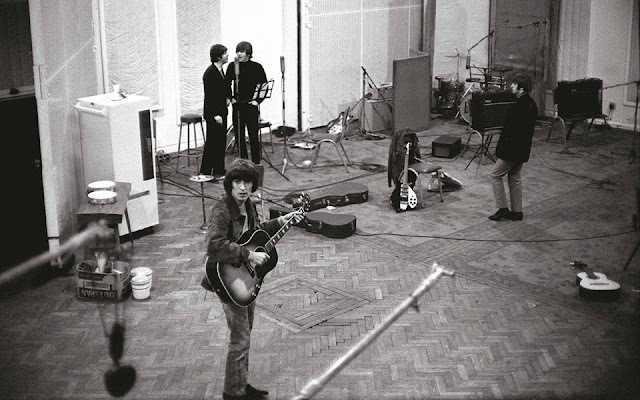 I'm Looking Through You: The Beatles in Abbey Road Studio Two, 1965. After that tour, you're free to explore the studios on your own. Check out the mastering suites, where the albums go to get the finishing touch. Hang out with the London Symphony Orchestra while they record in Studio 1 and visit the famed Studio 2, where all those Beatles albums were laid down. So head on over to Google Play today and download Inside Abbey Road and experience the most famous studios in Britain!